Silva Screen released a timed series of highly collectable 7″ singles, representing the best of their extensive Barry Gray catalogue. 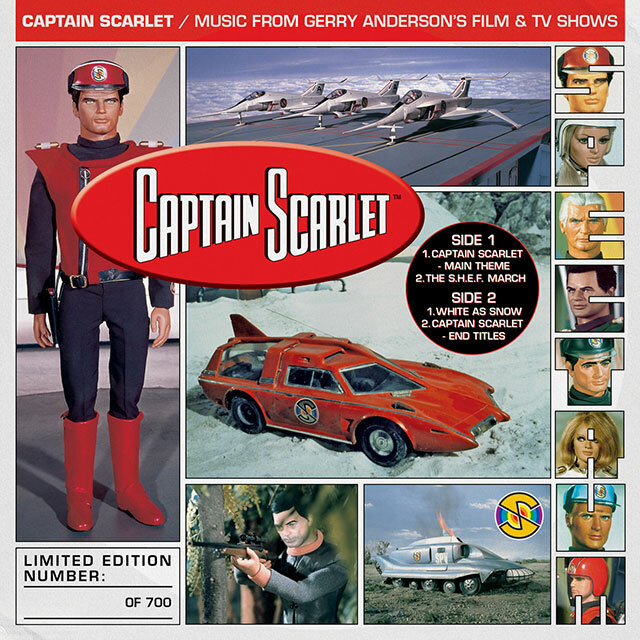 Gray’s partnership with Gerry Anderson was one of the most successful of its kind in TV history, forever linking the iconic Supermarionation imagery with the composer’s distinctive orchestral themes. 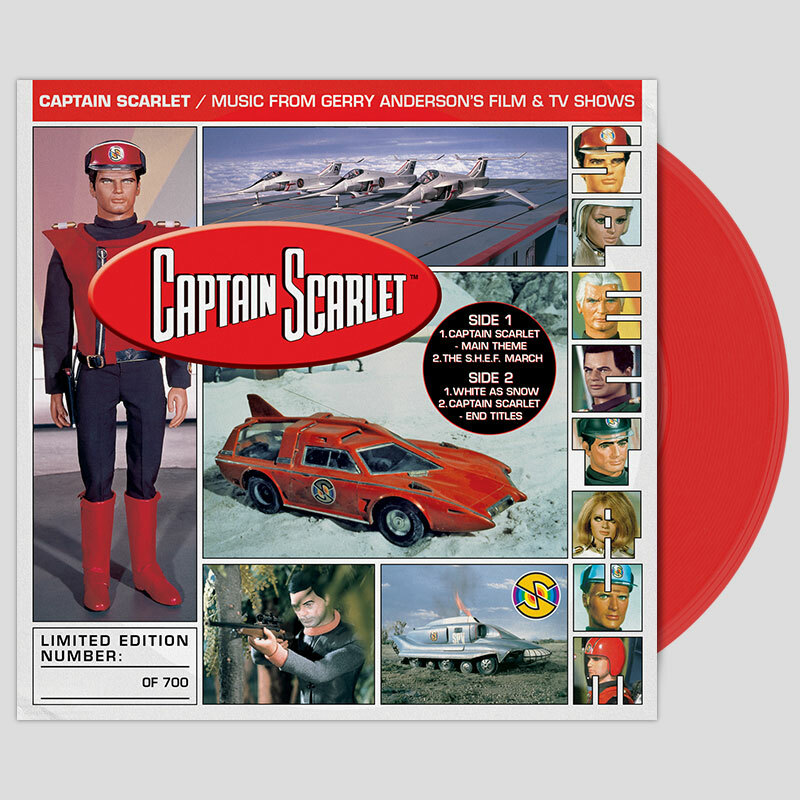 The full set of vinyl releases included: Thunderbirds, Captain Scarlet, Joe 90, Space 1999 and The Cass Carnaby Five. Each of the 7″ releases were strictly limited to 700 numbered records. Of which, 500 of each title were individually released over seven months, with a self-assembly display stand also available to keep the (eventually) complete record set together in. On Record Store Day 2013 (April 20th) the final release (The Cass Carnaby Five) was made available as a 1500 run of hand numbered flexi discs with an exclusive poster. In June 2013, the first 200 numbers of all releases were then released in compiled full sets, including the custom made stand.